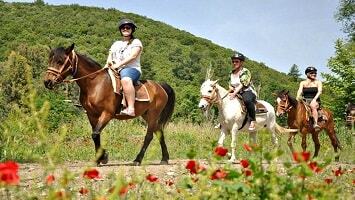 We offer you an excellent family day during your Side holiday. 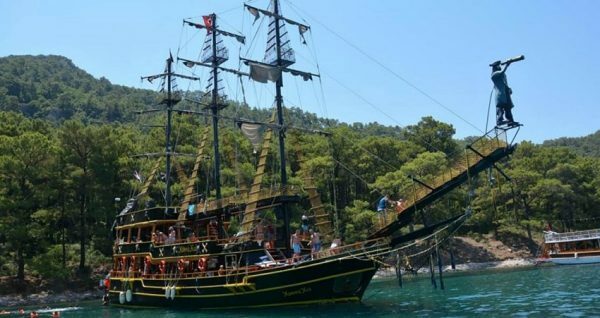 Side Manavgat Pirate Boat Trip, you and your family will experience an unforgettable time, this will be a memory you will never forget. There will be a variety of pirate activities that you will have a lot of fun with your loved ones. 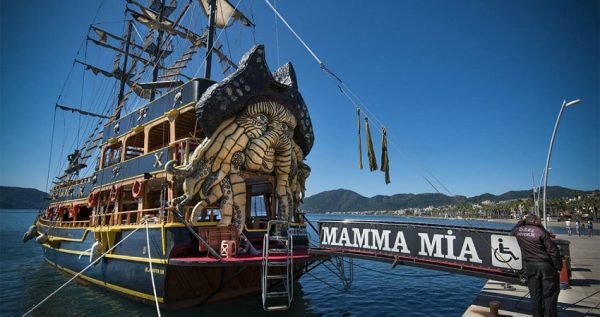 This special boat trip is designed for you and your kids to have fun at its most during while you are enjoying the bright summer day. 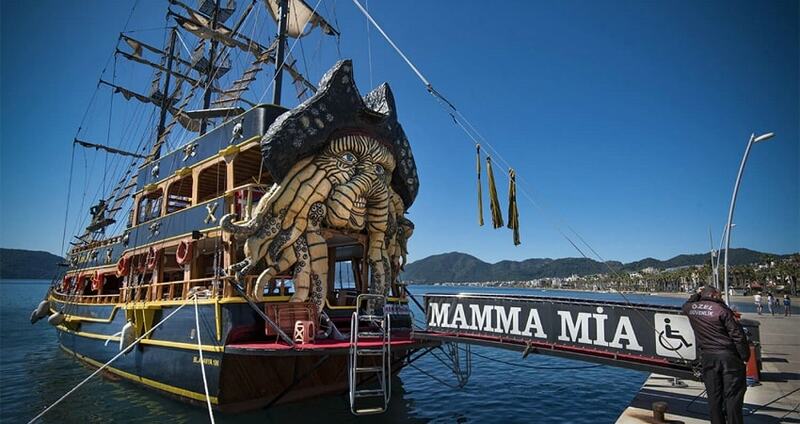 Your kids will definitely love this boat trip along Manavgat River. It is not a simple boat tour, your day will be filled with tons of activities such as pirate chase, treasure hunt, rope pulling game, pirate competitions, face paintings and foam party. Not over yet, there will be small gifts. This amazing day will be an unforgettable memory for you and your kids, definitely. The day will start from the pier. You and your kids will get excited, when you see the pirate-costumed boat crew. They will introduce themselves to you, and the fun will begin! Don’t forget to get your pirate bandanas from them, as you will be one of them as soon as you step in to the pirate boat! 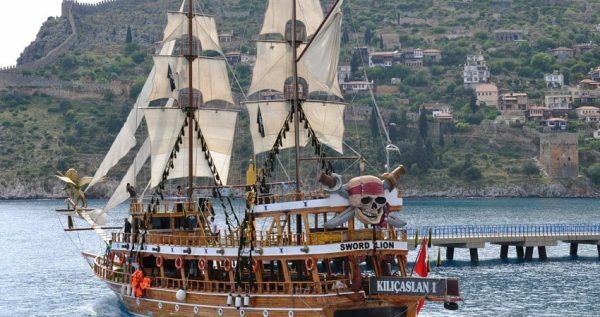 While the boat sails peacefully on Manavgat River, the crew will do facepainting to the kids, and teach the special pirate language. When the boat arrives to Sorgun, there will be a swimming break full of different activities for the kids. 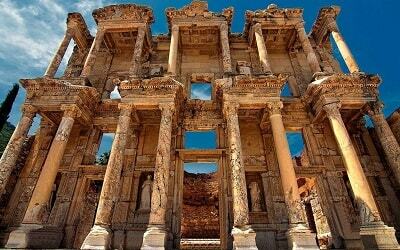 Afterwards, the boat will start to sail towards the mouth of Manavgat River, and anchor there. For two hours, you will enjoy the spectacular scenery, and your delicious lunch here. During this long break, you can also swim and freshen yourself up at this beautiful spot. Meanwhile, the crew will perform fun activities and competitions for the kids here. 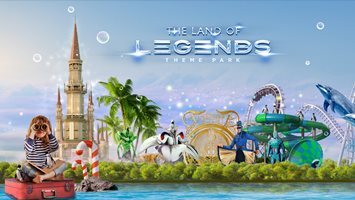 Games such as treasure hunt will take place, the kids will try to find the hidden treasure chest buried on the shore by following the clues given to them. There will be a beautiful surprise for the kid who finds the chest! After the break, the boat will head to the pier. On the way back, there will be a foam party, during which everyone will have fun while dancing under the foam with upbeat music. If you are looking for a fun activity with your kids, Side Water Planet Aquapark is a great option. 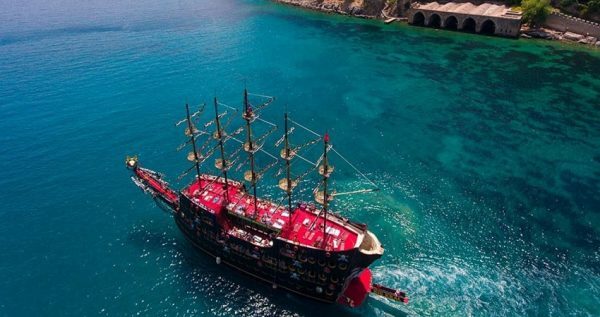 If you want to spend a lovely day together with your family, our Side Manavgat Pirate Boat Trip is the right choice for you. During the day, you will collect amazing memories and have fun at its most. After the tour, your kids will be happier than ever before. Join us in our Manavgat River Pirate Boat Trip! 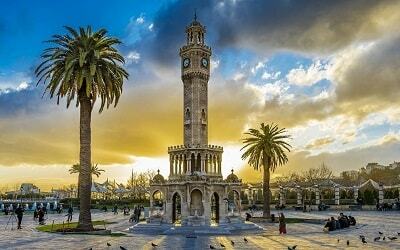 Our drivers will be waiting for you in front of your hotels at the specified hour in the morning. They will provide you a safe and sound journey with the comfortable coaches. 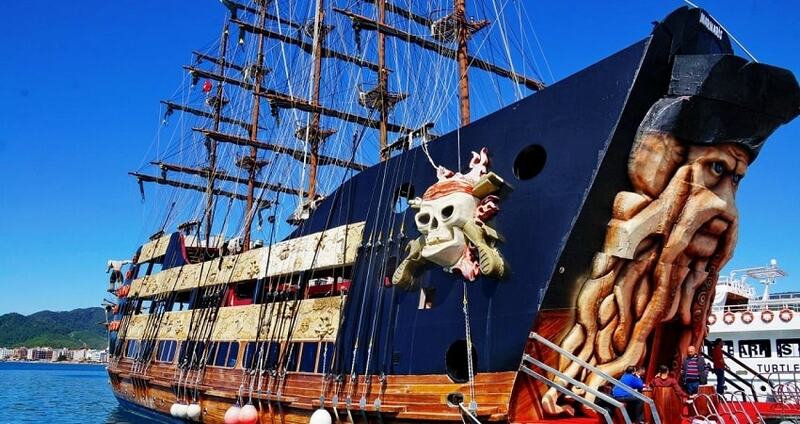 Our specially-designed pirate boat will be waiting for you at the pier. The boat is designed especially for kids to have fun. They will find themselves in such an environment they have seen in the pirate films before. The crew will be dressed as pirates, too. They will introduce themselves before you step in to the boat, and present you pirate bandanas. 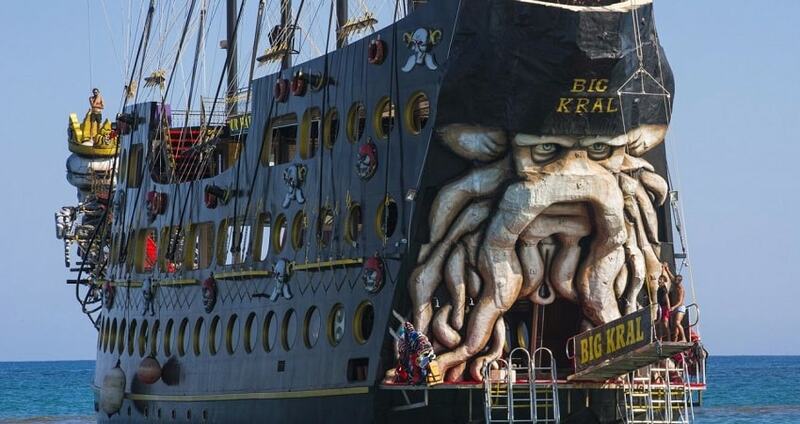 Don’t forget to put yours on, as you will be a pirate as soon as you get in the boat! 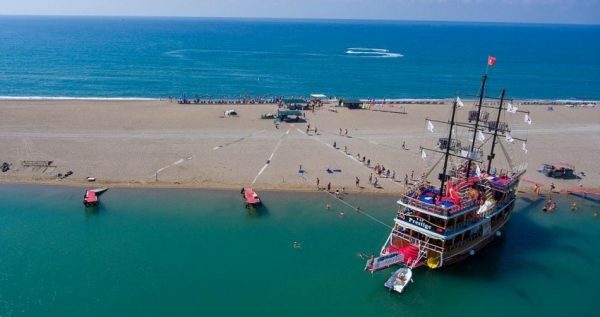 When the boat reaches to Sorgun, there will be a swimming break. While the parents enjoy the bright summer day swimming in the crystal-clear waters, the kids will have fun at its most with a variety of activities organized for them. They will never forget this special day. 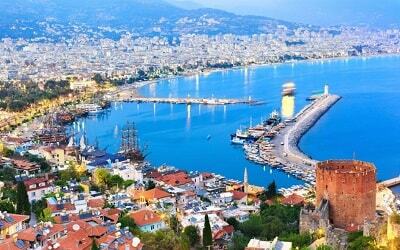 After the swimming break, the boat will set sail for the mouth of Manavgat River and anchor there. There will be a break for two hours. A delicious lunch consists of freshly cooked chicken, pasta and salad will be served. After enjoying the lunch, you can swim either in the warm waters of the sea or in the cool waters of the river at this beautiful spot. Meanwhile, fun activities and competitions will be performed by the crew for the kids here. After the delicious lunch at the mouth of Manavgat River, there will be an exciting treasure hunt activity for the kids. All the kids will try to find the treasure chest buried on the shore by following the clues given to them. While playing this amazing game, they will feel like real pirates. A surprise gift will be given to the kid who finds the chest! It will definitely be an amazing memory to always remember! 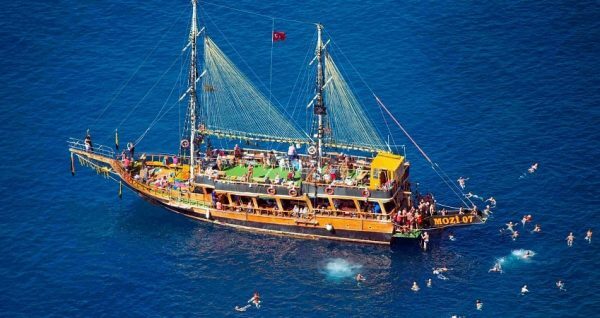 On the way back to the pier, there will be a spectacular foam party on the boat. 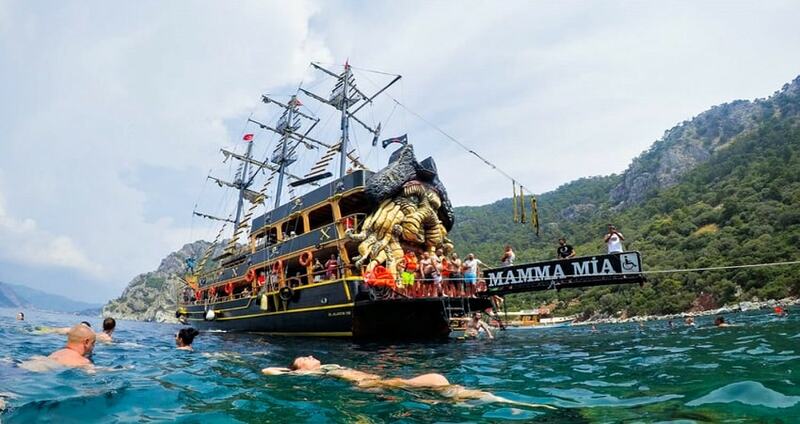 Everyone on the boat will have fun at its most while dancing under the foam with upbeat music. This will be an activity for your whole family. When the boat docks at the pier on Manavgat River in the evening, our coaches will be waiting for you. Our drivers will provide you a safe and sound journey to your hotels. 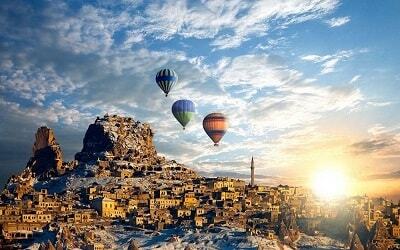 Our guides will be with you during the journey, so don’t hesitate to consult them if you need anything.